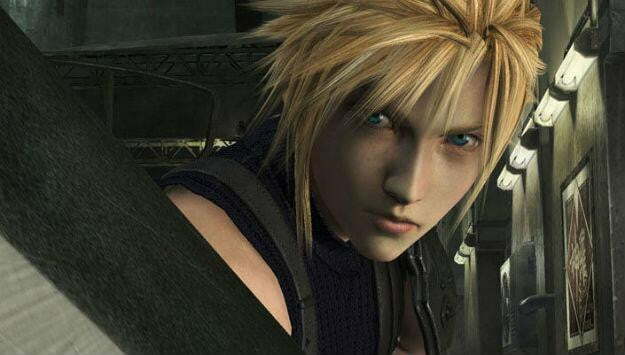 Square-Enix doesn’t care that people want a Final Fantasy VII remake in high-definition! Fans aren’t the only ones that want the iconic Japanese publisher and developer to revisit the 15-year-old role-playing game that made it an international powerhouse. Shareholders in the company want to see Final Fantasy VII HD as well. According to Andriasang, Yoichi Wada, Square-Enix’s CEO, said during an investor question and answer session that his company will only make a Final Fantasy VII remake when the company makes a game that exceeds the quality of Final Fantasy VII. It’s a telling statement. Sales of recent titles in the series, including Final Fantasy XIII and its 2012 sequel Final Fantasy XIII-2, have helped keep Square-Enix solvent since 2010 but both those titles have been divisive amongst critics and fans. Wada’s statement indicates that Square recognizes that even its own internal teams have failed to match the high bar set by Final Fantasy VII back in 1997. Final Fantasy VII character designer Tetsuya Nomura made statements in May that reflect Wada’s. Nomura said that he and his team, currently working on the 6-years-in-development Final Fantasy Versus XIII, are committed to making new titles rather than revisiting old ones. A Final Fantasy VII HD remake, not just a high-definition remaster, would be an absolutely immense undertaking. The game’s pre-rendered CG backgrounds are, even by today’s standards, remarkably detailed and though they aren’t massive there are many of them. The sheer size of the game’s world is prohibitive in an era when ever single inch of a game is rendered individually rather than as an animated pre-rendered background. Then again, why not just remake Final Fantasy VII with improved pre-rendered backgrounds and character models? Square’s insistence that it can’t simply remake the game without making significant changes is just silly. Capcom’s 2002 remake of the original Resident Evil for Nintendo Gamecube is proof positive that a remake of a polygonal game with pre-rendered backgrounds can be absolutely stunning. The use of pre-rendered backgrounds with improved character models would also give Square-Enix a great deal of flexibility in terms of what platforms the HD remake could be released on. PlayStation 3, Xbox 360, Nintendo’s Wii U, and PCs could easily accommodate a Final Fantasy VII remake with pre-rendered backgrounds, but more importantly, so could the current Apple iPad, a platform that has proven quite lucrative for Square-Enix. Stop trying to best Final Fantasy VII, Square-Enix. You can’t do it. You have lost too many creators. Best to just make a brand new, very beautiful version of the classic.